Want To Improve Your Typing Speed? You should improve your typing speed even if you are not a typist or a coder. When I started practicing, I used to type by seeing the letters one by one. Gradually after a lot of practice I was able to reach 20 to 25 WPM. But that was not enough. Then I got the point that I am practicing in a wrong way. One of my friend help me a lot to understand the rules of typing and now after practicing 8 to 9 months my average typing speed is 60 to 65 WPM and my fastest speed was 76 WPM. That's incredible, from 20 WPM to 65 WPM in just 8 months. 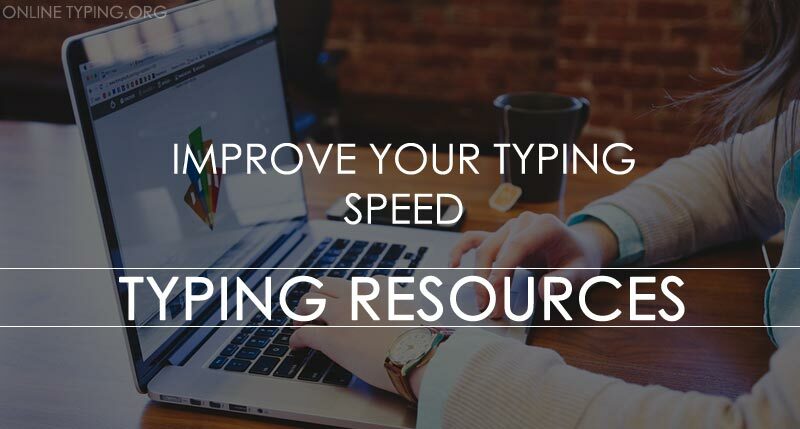 Today I am sharing you some resources that can help you to improve your typing speed. But it's necessary to learn touch typing before playing these games. Playing typing games, is the easiest way to gain typing speed. You just need to play games to practice. There are many type of typing games available in the internet. If you are beginner then you should choose typing games for kids, cause these games are easier then adults typing games. Beginners can try latter games to set fingers. When you can move your fingers properly without looking the keybord you may go for word games. There are some recomended letter and word games to improve your skill. Playing typing games is helpful but regularly checking your typing speed is very important. It encourage you to improve yourself. To check your typing speed and accuracy you may use our typing speed test system. We have 3 different speed test engine to measure your typing speed.